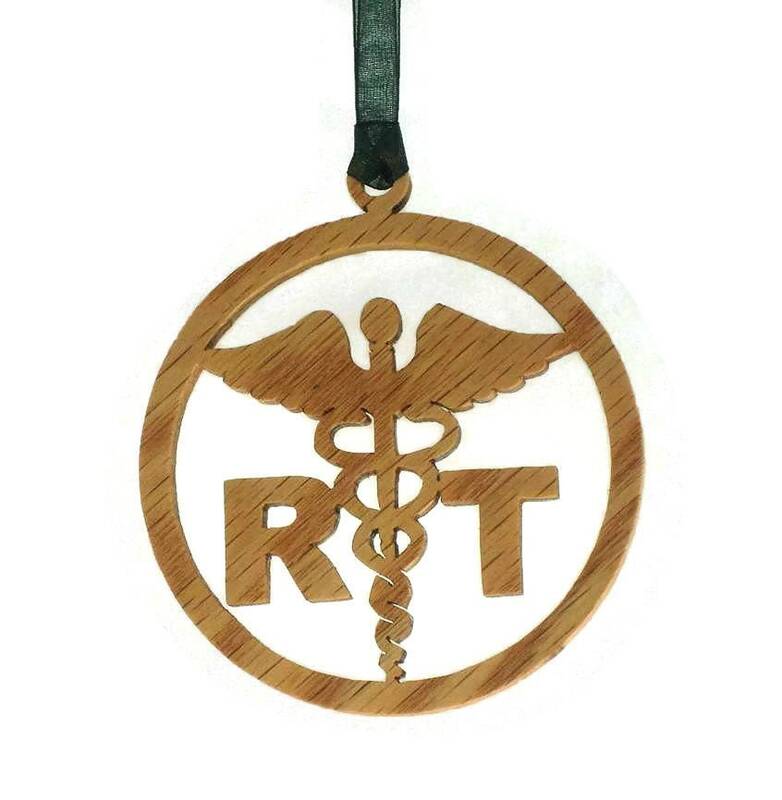 If you or someone special to you is a respiratory therapist then this is the perfect Christmas ornament to give yourself or that special person. This respiratory therapist Christmas ornament features a medical symbol in the center of a 4 inch circular shaped ornament with the R on the left side of the symbol and a T on the right side, initials for a Respiratory Therapist. 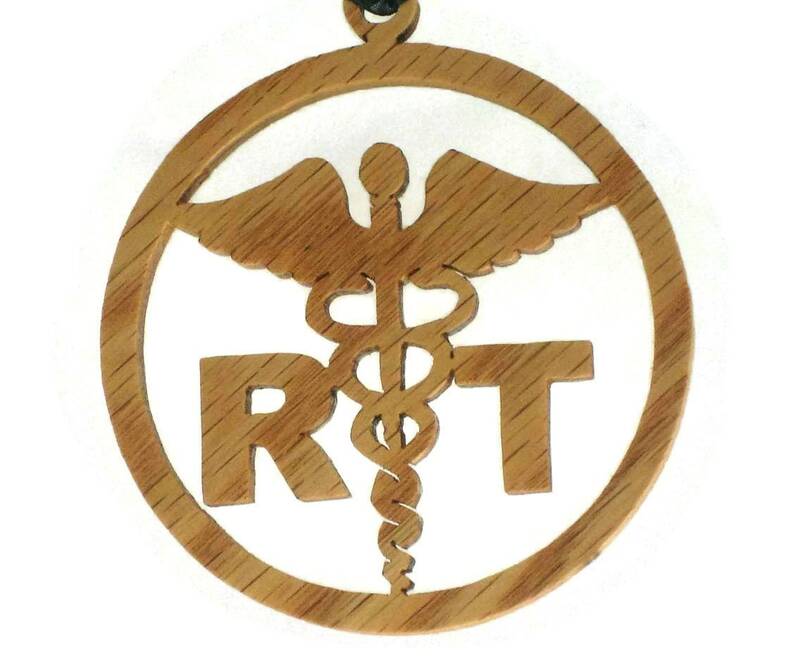 These are completely cut out by hand ( handmade ) using a scroll saw. A various colored fabric ribbon is attached for ease of hanging this on your Christmas tree. A non-toxic all natural mixture of bees wax and mineral oil finish is used on this to bring out the natural beauty of the wood as well as to protect its natural beauty for many years of enjoyment. 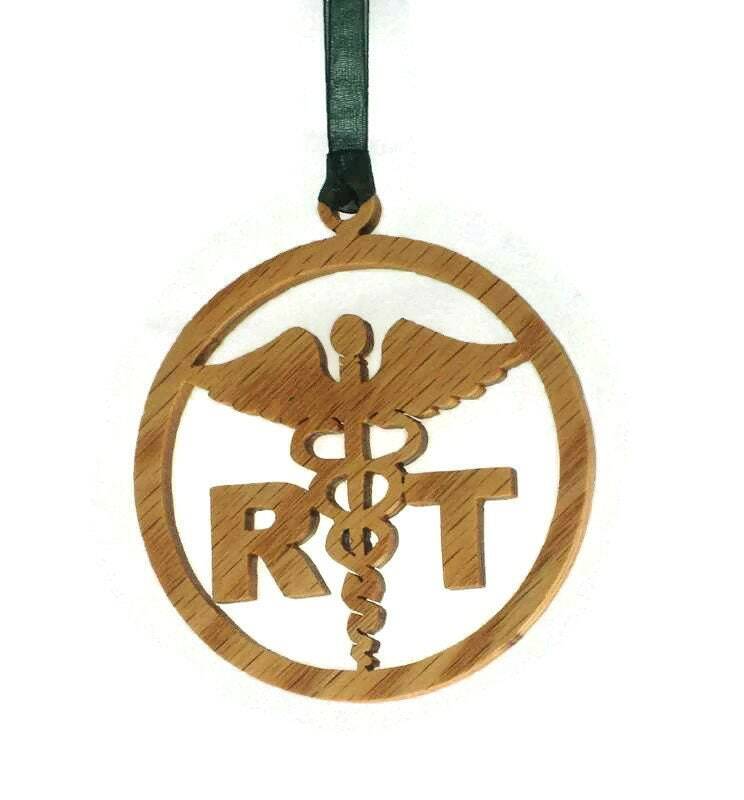 Measures approximately 3.5 inch in diameter and 1/4 inch thick. 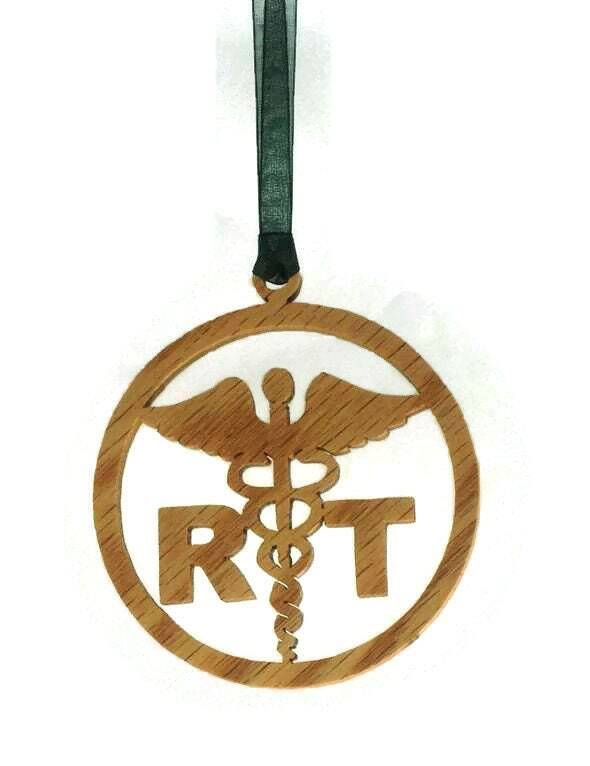 Have a special themed ornament you would like? Maybe I can help you by custom making something just for you! Exactly as pictured. Thank you. The new RT in my family will love it!